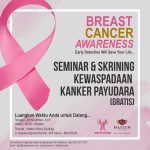 Bali Pink Ribbon was founded by Gaye Warren, a British breast cancer survivor who has lived in Jakarta for more than twenty years. Following her own treatment for breast cancer and her husband’s retirement, they moved from Jakarta to Bali. 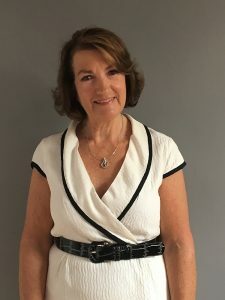 Shortly thereafter, Gaye discovered that the infrastructure in Bali for making women aware of breast cancer was almost non existent, notwithstanding professional medical expertise being available on the island with at least two hospitals offering breast cancer treatment to patients. 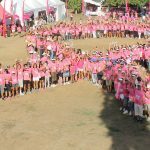 As a member of the Bali International Women’s Association, Gaye and two friends persuaded the Chairlady of BIWA to start a fundraising campaign for breast cancer awareness in Bali. From that small seed, the four of them developed a Pink Ribbon Walk prototype for Bali, based on Gaye’s experiences of the Pink Ribbon Walks in Britain. The Bali Walks, which started in 2009, have become the main fundraiser for the breast cancer awareness campaign and are more and more being customised to accommodate Balinese culture and traditions. Since start up, the group of volunteers, managing the campaign, has expanded and has managed to raise considerable funds through the Walks and other events, especially from generous sponsorship from overseas, particularly Australia and, more recently in terms of advice and medical help, from Australia and Singapore. It has also been very encouraging that events have been increasingly covered by the media and that local sponsors have become more conscious and sympathetic to supporting the campaign. 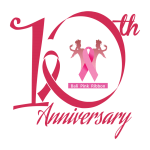 As Founder, I am very honoured to have been able to develop the campaign to a point where the Bali Pink Ribbon Foundation has been formed and a Breast Cancer Support Centre has been created. To arrive at this juncture, I need to give credit to the massive support I have received from unpaid volunteers from different nations and, not least, from the medical professionals in Bali and those in local and national Government. My fervent hope, and I was pleased to be joined in this hope by my Co-Founder of the Foundation, the late Dr. Endrawati Manuaba, is that this charity will attract more Balinese volunteers, increasing financial support and more and more recognition from local Balinese communities, so that the Founders’ “vision” can be embraced by all parts of the island.